Hordes of bat-like demons wielding sharp pitchforks, legions of the white souls of the blessed floating in the sky, Paolo and Francesca who glide down from on high and remain suspended in mid-air, Bertrand de Born holding up his severed head and finally a gigantic fire-eating Lucifer who devours diaphanous and transparent cadavers. Adolfo Padovan , Francesco Bertolini and Giuseppe De Liguoro certainly spared no expense for their special effects. In 1911 these two pioneering directors filmed “Inferno”, the first true feature-film in the history of Italian cinema. It was an unprecedented colossal based on the text of the first episode of Dante’s Divine Comedy and the famous 19th century engravings by Gustav Dorè. 71 minutes in length, it took them 3 years of filming, 150 actors and extras, 100 sets, an investment of 300,000 liras and an advertising campaign that lasted for over a year. It also had a completely international distribution all over Europe and the United States, where the film made 2 million dollars at the box office. Having reinvented the soundtracks of “The Last Days of Pompeii” and “The Cabinet of Dr. Caligari” the four creators of the sound of Edison Studio have now produced a “perfect” soundtrack for the most visionary of all Italian silent movies. The restoration of “Inferno” has been carried out by Cineteca del Comune di Bologna from a nitrate print preserved at BFI National Archive in London and from two safety duplicate negative held by Danske Film Institute in Copenhagen and Bulgarska Nacionalna Filmoteka in Sofia. Useful information has been also obtained from the copies preserved at Library of Congress in Washington, UCLA Film and Television Archive in Los Angeles, American Film Institute and Geaorge Eastman House in Rochester. Titles have been reconstructed from the originals discovered in the copy held by Bulgarska Nacionaln Filmoteka. The restoration has been carried out in 2007 at L’Immagine Ritrovata laboratory. After having reinvented the sound for “The Last days of Pompei” and “Das Cabinet Des Dr.Caligari”, the 4 Edison Studio’s composers have created the “ideal” soundtrack for the most visionary italian silent movie. Clustering bat-demons equipped with sharp forks, crowds of heaven’s pure souls floating in the sky. Paolo and Francesca gliding from above and floating in the air, Bertrand de Born showing his cut off head and, finally, a gigantic fire-eater Lucifer that ravens diaphanous and transparent dead bodies. 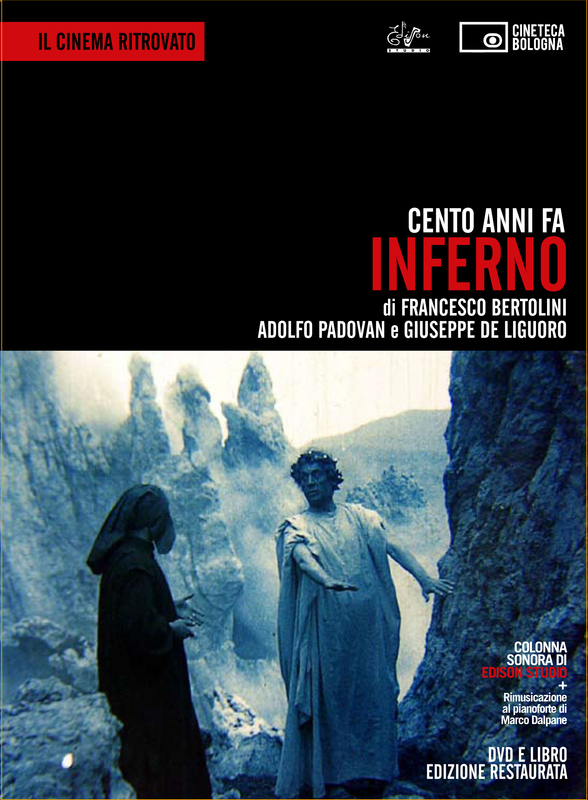 Surely Adolfo Padovan and Francesco Bertolini, the two forerunner directors who created “Inferno” in 1911, the first authentic feature length film of Italian film history, didn’t save money on special effects. 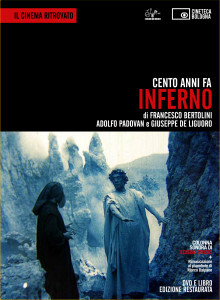 “Inferno” is an unprecedented kolossal based on the famous Dantesque illustrations by Gustav Dorè that implied 3 years of shooting, 150 between principal and supporting actors, 100 scenes, 71 minutes length, 300.000 lire invested, a one-year long advertising campaign and an international distribution reaching Europe and the United States (where the movie earned 2 million dollars). 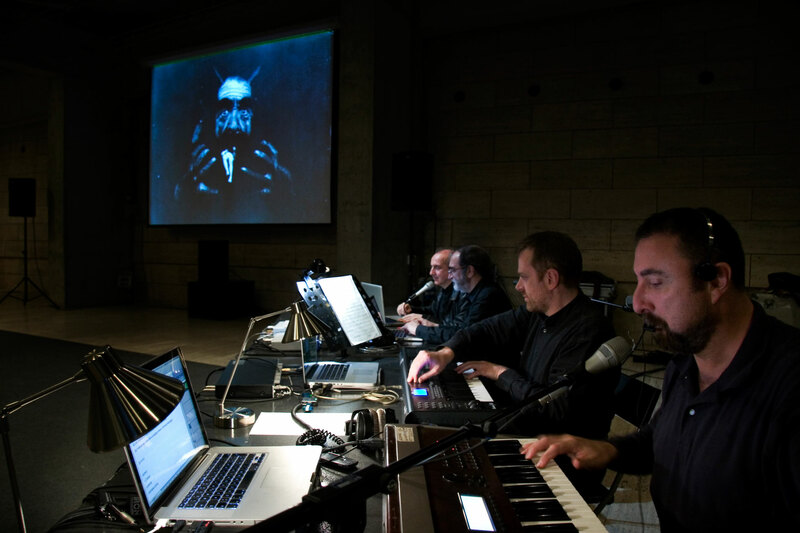 Edison Studio recovers the old tradition of silent movies with live musical accompaniment throughout the composition of vocal and mechanical sounds (taken from nature and music history) orchestrated and transformed live with the aid of new technologies. The music of “Inferno” brings the audience into a completely different dimension, a dream state both ironical and fascinating among reinvented voices, surreal landscapes and surrounding sounds. All of this creates a new acoustic environment that binds space much beyond the chances of traditional movie screening. A multimedia performance for everyone where literature, cinema and music come together to achieve a common and up-to-date artistic path.